Rosanna Bruno, a comic artist from New York City, branches off to create musical instruments. There’s going to be an exodus of artists from Captiva on Friday. But it happens several times a year. 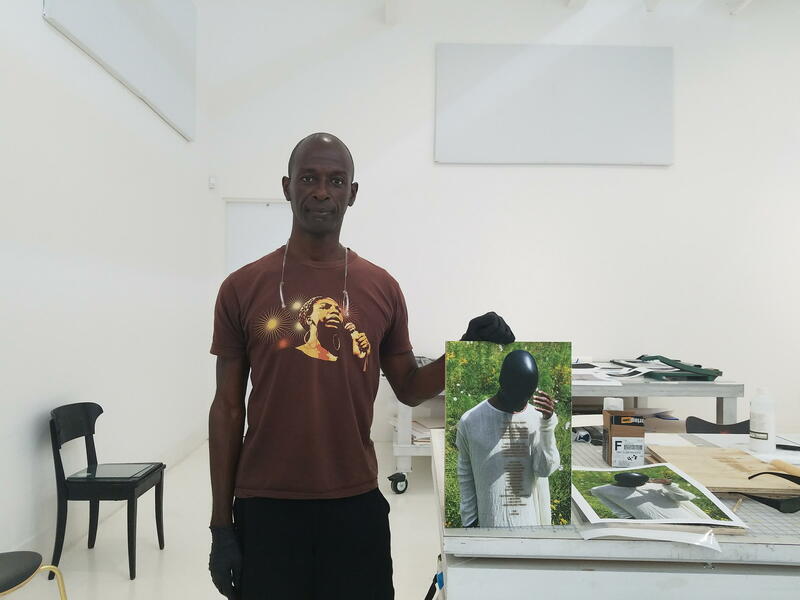 That’s because famed American artist Robert Rauschenberg’s foundation has an artist’s residency program on the island where artists from around the world spend about a month on Captiva, honing their skills and exploring new ones. The artists, who are all hand-picked by the Rauschenberg Foundation from around the world, spend six weeks on 20 acres near the water. The centerpiece of the plot is an imposing gray and white building with 8,000 square feet of studio space. Rauschenberg called it a cross between the Pentagon and the Taj Mahal. There’s a pool in the back, and that’s where Caledonia Curry was as her residency neared its end. The New York City-based artist is internationally known by the moniker Swoon for her street art and she wasn't just going for a leisurely swim. Curry was dismantling an art piece she made during her time here. “For the last week, I’ve been working on an underwater installation meant to be viewed from under the water," she said before she dove under the water. Underwater filming. Looking at how a drawing of water (printed on silk) interacts with water itself; the intersection between the flowing of drawn lines and the laws of physics. The vestiges of the installation were in pieces around the pool. There was mylar and other fabrics in the same design as butterfly wings. They were attached to floaters and weights. And that’s what seems unique about this Rauschenberg residency: you’ll find artists, who hail from New York to China, exploring mediums they don’t usually work with. There’s a workshop with all sorts of tools on the first floor of the gargantuan studio. That’s where Rosanna Bruno spent time as this residency was coming to a close. She’s a comic artist from New York who made a graphic novel that explores how the 19th Century poet Emily Dickinson would’ve interacted with the world if she’d had social media. Bruno decided to spend her last days on Captiva making percussive and stringed instruments. One is in the shape of a smiling thought bubble. “This is going to have strings going across this smiley face. Almost like a dulcimer and you can play it," she said before using it as a drum. The strings weren't attached yet. Bruno said that the environment of the island—the beach, the sun, the birds—influenced her art-making. “That opens you up, so that when you come into the studio and you approach a medium, you’re already receptive to what it may lead to," she said. While artists like Bruno and Curry use the time to venture into new media, others take the time to synthesize their interests. Prints from artist Mary Mattingly mix geology and art. A lot of her work shows mines or mountains in the background with art superimposed in the foreground. 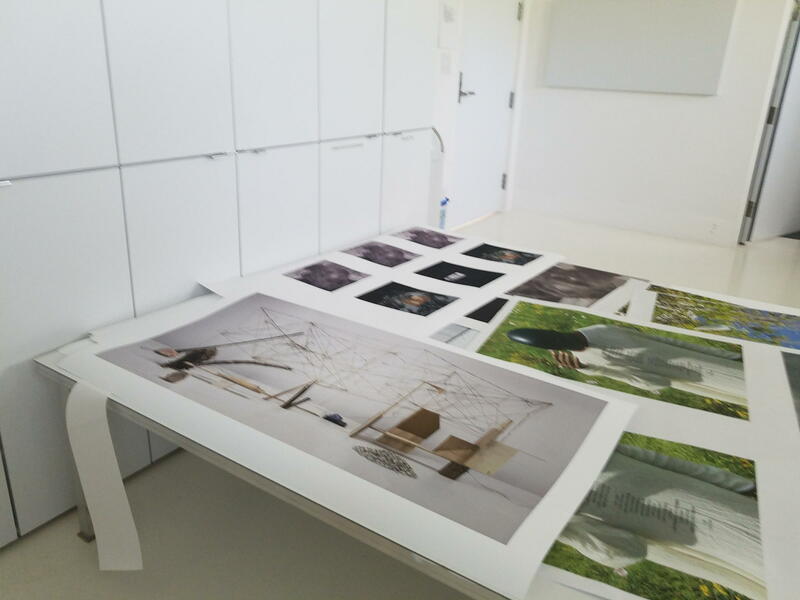 Mattingly used the time at the residency to get ready for an upcoming group show in New York. Benji Hart is a writer, dancer and activist from Chicago. And since the residency’s start, Hart worked on a new performance piece. Hart said the piece uses black art to examine what the future holds for black liberation. The work is also meant to be healing for black, queer and transgender people and it promotes self-healing, Hart said. So far, the performance piece just has a poem that serves as a preamble. It’s an amalgamation of lyrics from gospel hymns, house music and bomba. “Woke up this morning a little less mean. Because I know a place. Begin to tell our young: lay down. Yo le hablo en español. How can we sing the alpha song? Bible says ‘​adio’ mis ojito’. Gonna lay down transformed in a strange land,” Hart recited, reiterating that it's a rough draft. Hart said the end of the residency sort of marks the beginning of a project. David Thomson, an artist from New York City, poses with a work he modified during the residency called "he his own mythical beast". It's a self portrait with a laser etching of a poem he wrote that explores his identity. And that’s true for a lot of the other artists in the Rauschenberg Residency. Artists may start and finish a project in their time on Captiva. Others may find inspiration to create something when they leave. Either way, the art generated from the time on the island will live on in other embodiments and manifestations around the country and the world. The next group of artists arrive in Captiva on April 23.